Queen Elizabeth was a great patron of music and poetry. Elizabeth enjoyed the theatre, patronized it, and attended some of Shakespeare’s plays as well. 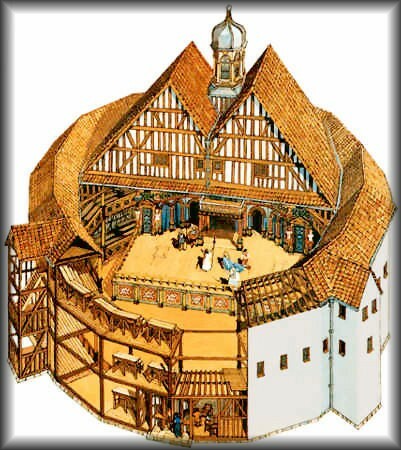 One of the most famous amphitheatres of London during the sixteenth century, the Globe, was built during her reign. It was often referred to as the Shakespearean Globe. It was first built in 1598 and was one of the four major theatres with the Swan, the Rose, and the Hope. It was situated on the South bank of the river Thames in Southwark. The Globe was built by carpenter Peter Smith and his workers in 1597-1598. This open-air theatre was three stories high with an approximate diameter of 100 feet having the seating capacity of up to 3,000 spectators. The theatre not only enacted plays but was also reputed to be a brothel and gambling house. There are no inside pictures of the theatre in existence, however, a picture of the Swan has survived. The idea is conceived that these amphitheatres were quite similar from inside. In 1613, the original Globe was burned to the ground when cannon during a performance of Henry VIII ignited the thatched roof of the theatre. Shakespeare’s company completed a new Globe on the foundations of its predecessor before Shakespeare’s death in 1616. The new Globe continued operating till 1642, when the Puritans closed it down along with all the other theatres. Puritans tore the building two years later in 1644 to build tenements upon the premises. The Globe remained a ghost for next 352 years until its foundations were rediscovered in 1989, rekindling interest to erect a modern version of the Globe. Under the supervision of Late Sam Wanamaker, the workers began the construction in 1993 on the new theatre near the site of the original. 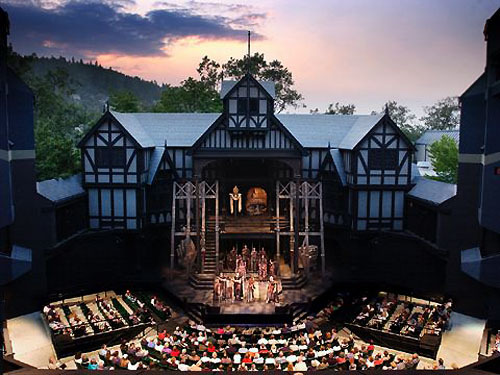 It was completed by 1996 and officially opened by Queen Elizabeth II on June 12, 1997 with a production of Henry V. It is a faithful resurrection of the original Globe.